Home :: Rifle Ammunition :: .308 Win. :: .308 Win. cal. M-118 Special Ball Match (20ct.) RARE! 20ct., .308 Win. cal. 173gr. M-118 Match ammo. Manufactured in the U.S.A. by Deuce 45's, Inc. 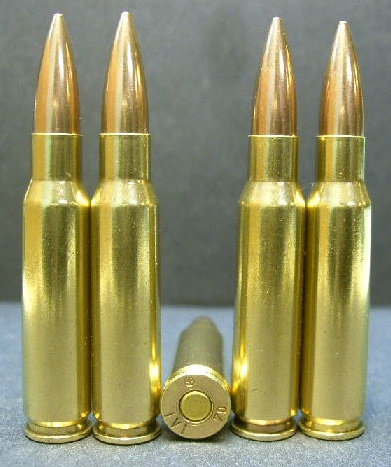 These rounds are loaded to mil.-spec. with virgin, I.V.I. (NATO spec.) brass, new (never loaded) L.C. bullets, new powder and new primers! Packaged in a plastic, vacuum sealed pack.